TOPAZ HORIZON: Oh, what fun we had at the Alaska Ultimate Mission Camp! Oh, what fun we had at the Alaska Ultimate Mission Camp! 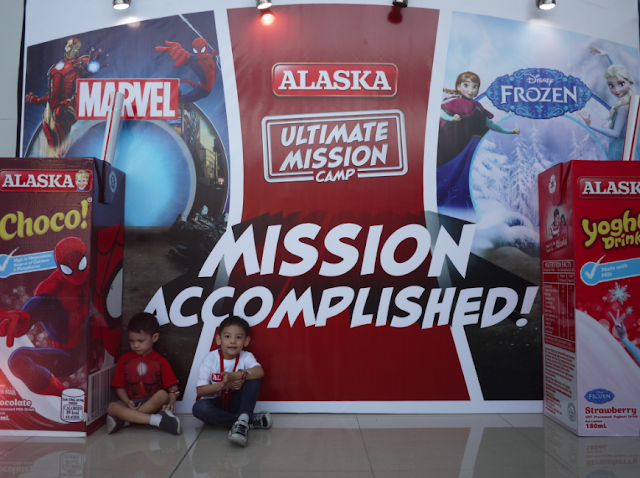 Last Sunday, my little superheroes Captain America and Iron Man were absolutely pumped to go to the Alaska Ultimate Mission Camp. I imagined a day of chaos for me but, boy, was I mistaken! The Alaska Ultimate Mission Camp was AMAZING!!! 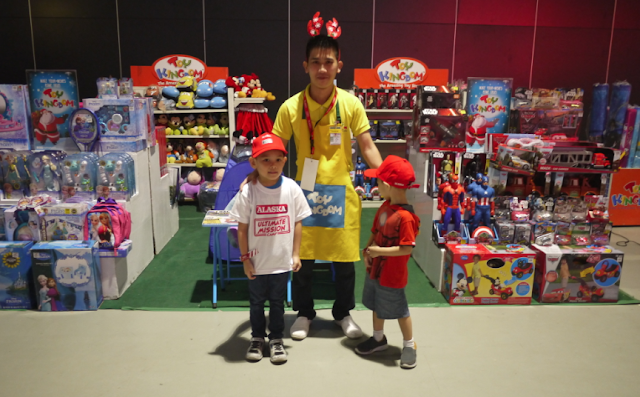 The Mission Camp was held at SMX Convention Center at SM Mall of Asia. I don't know why I got the idea that it would be held outdoors but I slathered the kids in sunblock, brought towels and a change of clothes, and boxes of Alaska Choco milk. When we were ready, we piled into a taxi and then zoomed all the way to MOA. There's no traffic on Sundays so we did literally zoom there. Once we got there, the kids got even more excited seeing the crowd. They immediately started playing with the other kids while we were still lined up. With Momma 'n' Manila Michelle Aventejado and her daughter Gelli. (1) Kids Activity Zone for the younger kids. 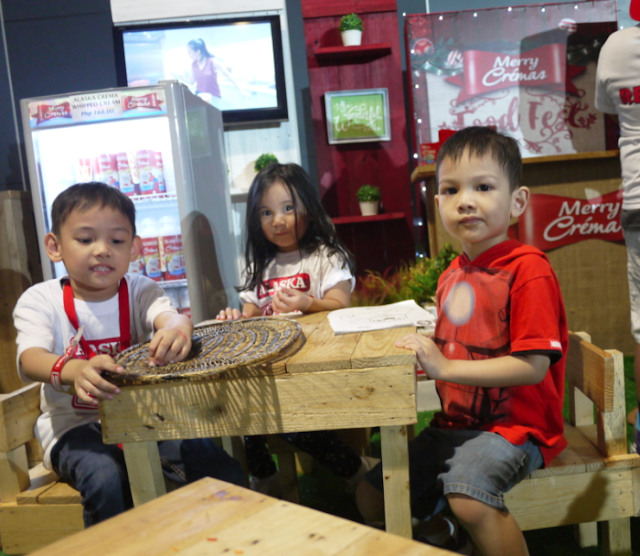 This is where they can busy themselves with arts and crafts activities like coloring, cutting out masks, building with blocks and bricks, stacking Alaska Milk cartons to make a tower, face painting, and playing memory games. (2) Disney Mission Zones for kids 4 and up. 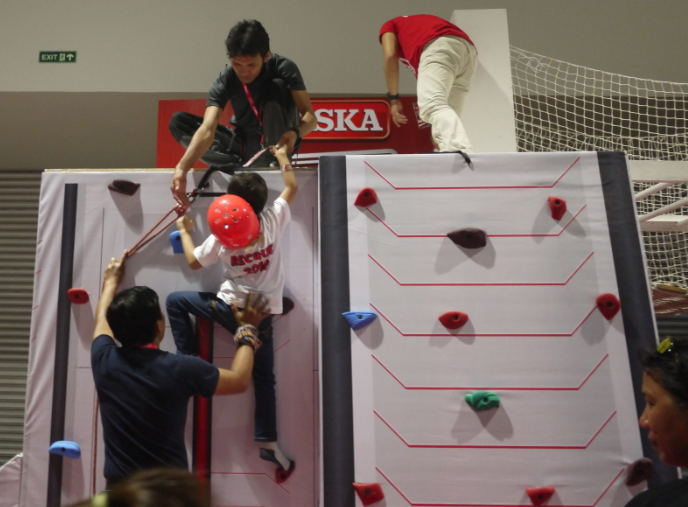 There are four Mission Zones: the Marvel Zone where the kids skate, stick to the wall, hit a target, and crawl through a tunnel; the Frozen Zone, which is basically a big skating rink; the Ultimate Zone, which is a big obstacle course where kids test out their skills in balancing, jumping, climbing, and other major physical exertions; and the Alaska Zone, which also has lots of activities to test your kid's strength and agility, plus there's a big dome the kids enter and inside they experience virtual reality. Safety briefing from secret agents at Marvel Zone. (3) Parents Zone, where grownups can learn about making coffee with Kreme Top, making desserts and cooking with Alaska Evaporated Milk, Alaska Condensed Milk and Alaska Crema Whipped Cream. There was also a Toy Kingdom booth which peddled Disney and Marvel goodies. Waiting for the coffee-making workshop to start. (4) Entertainment area. In the middle of it all was a big stage where games, song numbers, and educational talks were presented for the entire family. Listening to Ate Secret Agent finish briefing the kids. we can only look through these little windows. Just finished their Alaska milk refreshments and about to go to the Ultimate Zone. The obstacle course at Ultimate Zone was physically challenging! Enjoying the ball pit at Alaska Zone. Selene (unica hija of The Misty Mom) just jumped up to check out what new activity she can do! We had soooo much fun! More importantly, my kids learned to be independent because the Mission Zones were parent-free. The brothers had to take care of each other and Vito was really looking out for Iñigo. So proud of my boys! They also learned how to listen carefully to instructions, and bravely take on all the physical tasks. They weren't that easy, but they did it anyway! I'm especially impressed with Iñigo because he usually has lots of reservations when it comes to new places and new things but he jumped into each new activity happily. I am oh so proud! It definitely was a winning day for my kids! As a parent, I am also happy to report that the event was so organized. I've been to other events where the organizers were just overwhelmed with all the kids. The Alaska Ultimate Mission Camp was well staffed—there was a LOT of them to make sure every kid and parent is attended to. The staff knew what every activity was so if you ask a question, you get an answer fast. The zones were all safe and secure, and they controlled the number of kids in each area so that it doesn't get too crowded and the staff can manage the kids better. Should accidents do happen, there was a medical team in a very visible area. I had been a bit apprehensive when I found out that the mission zones didn't allow parents in, but when I saw how safe and secure the areas were and that the staff was in control of everything, I relaxed and allowed myself to have just as much fun as my boys! In hindsight, I should've not been so scared because Disney was involved in the event, and Disney has the ultimate credentials when it comes to giving families an exciting yet safe experience for all. Tired but happy little boys. I'm so happy that Alaska and Disney mounted this super fun day. Thanks soooo much for inviting us, Alaska and Disney! Thanks also for providing Alaska Milk for all the thirsty kids at the event. I saw that all the kids (and the parents, too!) enjoyed the delicious and nutritious milk drinks. 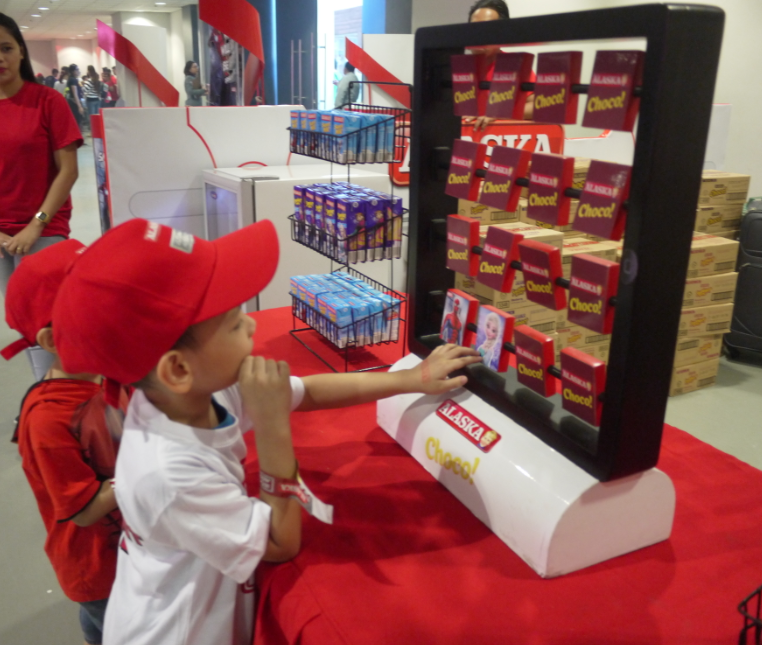 They liked pointing out the beloved characters like Spider-Man, Captain America, Iron Man, Thor, Princess Anna, Queen Elsa, and even Olaf whenever they pop a straw in a box of Alaska Choco, Alaska Sweet Milk (my favorite), and Alaska Yoghurt! The drinks didn't just refresh them and sustain them for the day of physical activities, it also provided them with the essential vitamins and minerals and, with the yoghurt drinks, even good bacteria for their tummies. As a mom, I am oh so happy with all that! I'm hoping that Alaska will have another Ultimate Mission Camp next year. Pleeeeeeeeease do it again! My kids can't wait to go again. It was the most fun they've had in recent memory, so thank you and please do another one soonest! 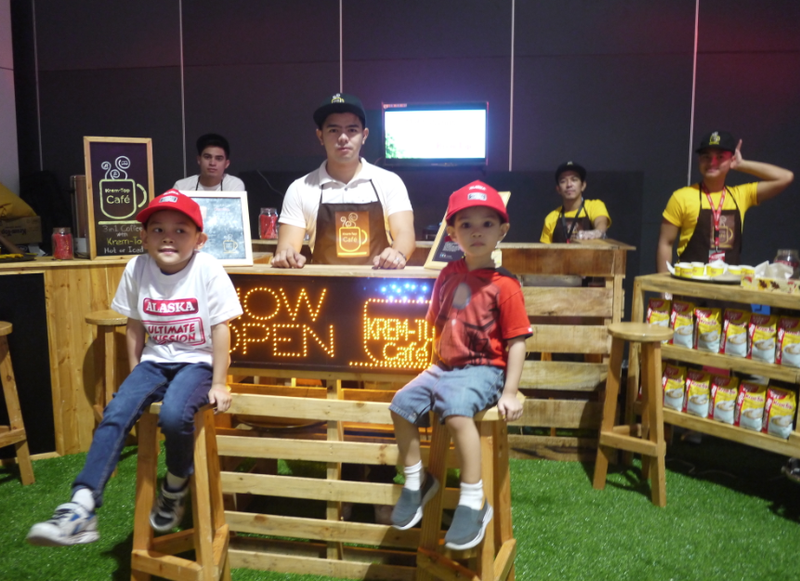 For more information on Alaska Milk, visit www.alaskamilk.com; and like their Facebook page, Alaska Milk, to be updated on promos and other activities. It was nice seeing you and your boys again, Frances! 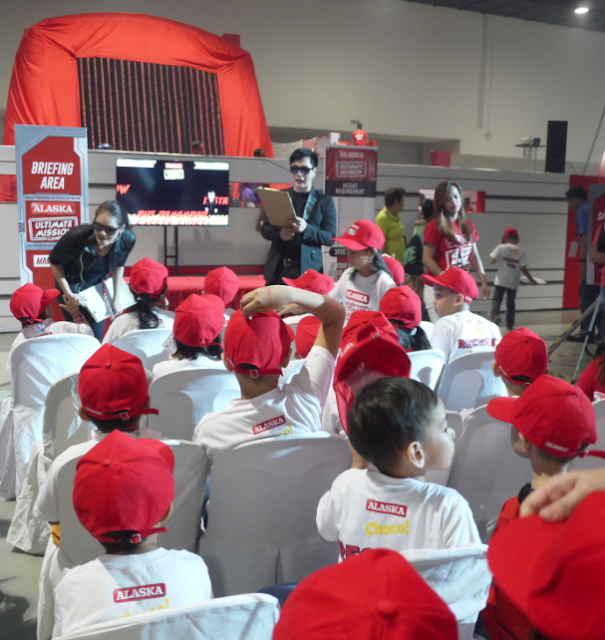 :) These types of events are very nice for kids talaga. They learn to be independent and be sociable by having new friends. Yes! 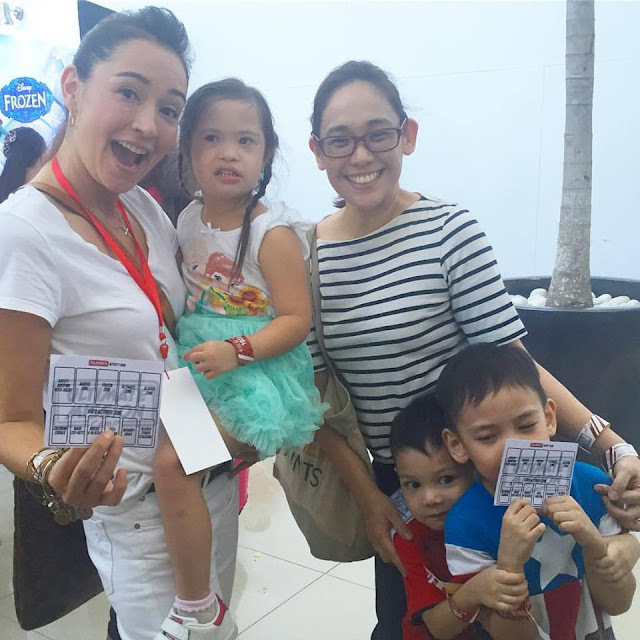 I saw lots of other mommy bloggers din there. Super fun afternoon =D Sana maulit muli!